Bombs over Libya, revolutions, earthquakes, British royalty under the world’s gaze and rioting in its cities... But funnily enough, this isn’t the news of the year so far – it’s the news of a hundred years ago. Whether this tense, eventful and foreboding year is a lesson from the past or just a collection of meaningless coincidences, it’s certainly an interesting period to look back to. At the time of writing, the battle for Tripoli is intensifying, the extent of the rebel’s occupation not yet clear to the outside world. The extent of international involvement in the conflict is providing air-superiority and tactical bombardment. Coincidentally, a full century ago Libya was the setting for the world’s first ever aerial bombardment. Italy had gone to war with the Ottoman Empire over possession of the lands that form the modern Libya: Tripolitania, Fezzan and Cyrenaica. 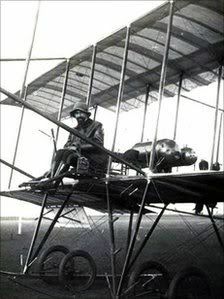 In a sortie against Turkish troops, ace pilot Giulio Gavotti flew his Etrich Taube biplane and dropped four grenades onto an oasis and a military camp. His bombs may have missed the mark entirely, but he certainly hit the nail on the head when it came to the military applications of aircraft. The war in Libya in 1911 wasn’t an uprising, but you don’t have to look far to find struggles against political systems in that year. 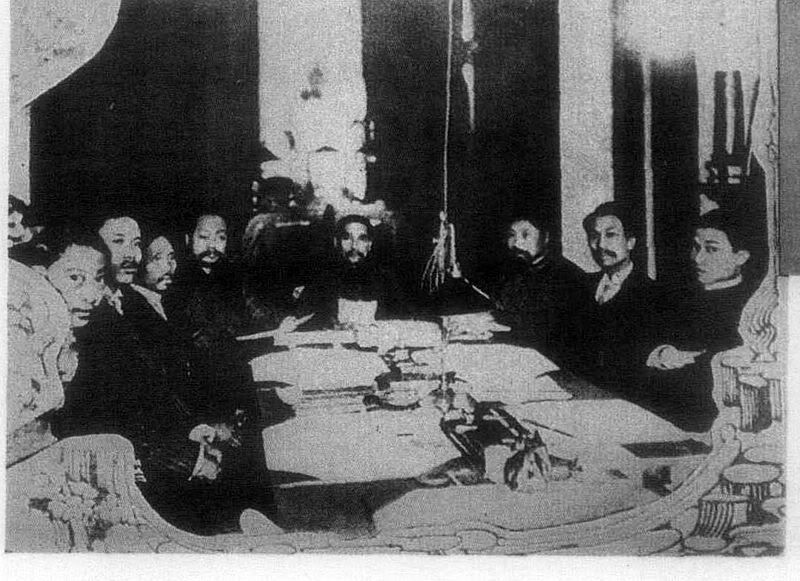 In October 1911, the Xinhai revolution began in China, leading to the end of the Qing Dynasty and the formation of the Republic of China. But of course, the revolution lead to another civil war and the establishment of the People’s Republic of China, with the leaders of the republic establishing themselves in Taiwan. It was also in 1911 that Outer Mongolia, (the forerunner of the modern Mongolia) declared independence from China. 1911 was also the second year in a decade of unrest in Mexico, the year in which president Porfirio Diaz was sent into exile after six terms of political repression and electoral fraud. The man that Mexicans brought to power, Francisco I. Madero, wouldn’t last in this volatile period, and one can only hope that the revolutions of the Arab spring will be more stable and longer lasting. The 9.0 magnitude earthquake that struck Japan in March was a significant seismological event, the fifth most powerful on record. The Tsunami that followed was so tall that most defenses built to repel it were ineffective. Even despite national preparedness and the high construction standards of one of the world’s most foremost industrialized economies, the death toll rose to 15,694 confirmed deaths, with 4,669 additional missing and 5,714 injured. The truth is that comparing 2011 with 1911 on the basis of its earthquakes isn’t particularly productive. Earthquakes are common events, and that’s true of earthquakes above 7.0 on the Richter scale. Among the few higher magnitude quakes than that which hit Japan, some (e.g Alaska, 1964) have resulted in a lesser loss of life: where and when an earthquake happens is perhaps more important than how severe it is. The headline earthquake of 1911 was the Kebin earthquake, a 7.7 magnitude quake that hit Almaty in modern day Kazakhstan (then part of Russian Turkestan). 452 people were killed and the majority of the city was leveled. In a landlocked nation with significant mountain ranges, the earthquake itself caused few of these deaths (most people lived in wooden yurts, so toppled buildings weren’t really deadly): instead, the secondary effect of landslides were to blame. That two billion people watched the 2011 wedding of Prince William to Kate Middleton is a matter of perpetual, bafflement to British republicans, and the situation just a century ago adds fuel to the fire. One-hundred years ago, when George V was crowned and the British Empire was on every single continent of the world, there weren’t even two billion humans around to watch the year’s big event. Oh, and there wasn’t television either, of course. 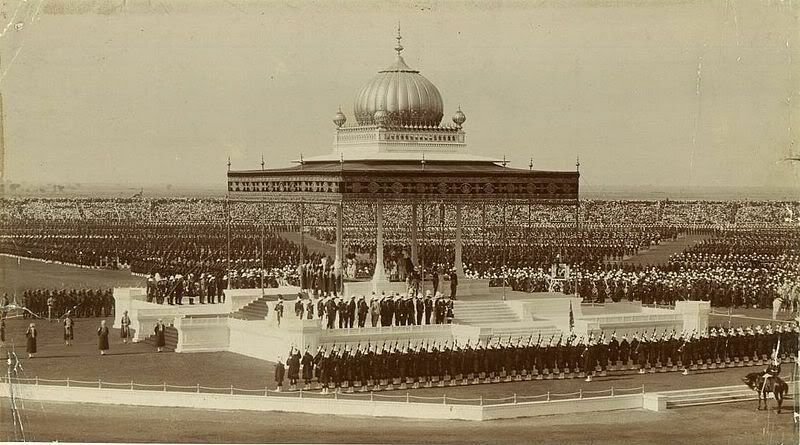 The main event went on tour instead, when George and his queen held a Delhi Durbar in December, where they were officially declared Emperor and Empress of India. As dramatic as the finery on display doubtlessly was, the act of declaring Delhi the capital of India shows how much power the royal family once wielded, and rather makes a mockery of the column inches written about how ‘radiant’ Kate Middleton was a hundred years later. There cannot be enough unfavorable parallels to draw between recent looter’s riots in the UK and the real political needs of protestors elsewhere in the world. 1911 provides its own timely contrasts, being the first year that International Women’s Day was officially celebrated (in Austria, Denmark, Germany and Switzerland). In the UK, the Suffragette movement stepped up its attempts to get votes for women recognized. Bills for the vote being actively suppressed in Parliament, 300 women stormed the place, clashing with police. 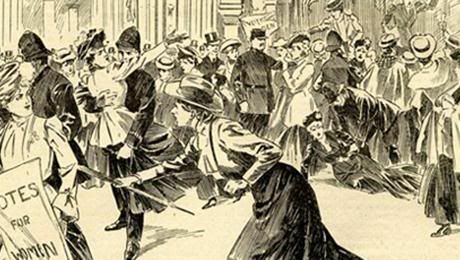 From then on, the Suffragette movement turned to more militant action. And all 2011 ever gave us was a ‘comedian’ throwing a foam pie at a baffled old man. Thanks a lot 2011. Steph Wood is a blogger with one eye turned to the past and the other turned towards a Camden food delivery. They write content for Just-Eat, a website with listings for Takeaways in Croydon and other UK locations.